The Maine Department of Health and Human Services has started working with Boston-based Public Consulting Group on a wholesale review of the behavioral health services system for children. The review comes as hundreds of children with behavior disorders, autism, cognitive impairments and other mental health challenges, especially in rural areas, are on waitlists for services delivered in their homes and local communities. In addition, the state has sent dozens of children to out-of-state treatment facilities due to a lack of available treatment in Maine, while other children spend extended periods in psychiatric hospitals and hospital emergency rooms in part because providers have gradually stopped offering treatments that allow young people prone to violent behavior to live safely with their families. Other children with mental illness are ending up at Long Creek Youth Development Center, the state’s youth prison in South Portland. Chief Justice Leigh Saufley recently lamented a “lack of alternatives” in the form of community mental health services when Maine’s top court upheld a 17-year-old’s sentence to the youth prison for property destruction crimes in which no one was injured. Children’s mental health specialists also question whether Maine children with mental health needs are even receiving the right set of services when they’re available. The Maine Department of Health and Human Services has started working with Boston-based Public Consulting Group on the wholesale review of the behavioral health services system for children. The department has turned to Public Consulting Group repeatedly in recent years to rework spending on public assistance programs. It would be the first such review since 1997, when state policymakers were similarly focused on reducing the numbers of children sent to psychiatric hospitals and residential treatment facilities — the most acute and expensive levels of care — in Maine and outside the state. That 1997 plan precipitated years of state investment in building up services available in children’s homes and local communities. The state also faced two lawsuits around that time — in 1997 and 2000 — that subjected it to years of court oversight to ensure it complied with a federal law that requires that children wait no longer than six months for needed mental health services. But the range of available services in children’s homes and communities has dwindled in recent years as the services have seen little new investment. The review led by Public Consulting Group is the result of a “joint decision” by DHHS and Disability Rights Maine, a nonprofit advocacy organization for people with disabilities, said DHHS spokeswoman Emily Spencer. Disability Rights Maine and DHHS have been in negotiations for months, in lieu of another lawsuit against the state, in an effort to ensure children have timely access to mental health care. DHHS is also working with Public Consulting Group on a separate, $1.3 million, two-year contract through which the firm has helped the department rework how it spends the state’s annual, $78.1 million Temporary Assistance for Needy Families block grant from the federal government. The department has spent substantially less of the grant on direct assistance for low-income families in recent years and used more of it to cover existing state expenses, freeing up the state money previously budgeted for those expenses. In 2015 and 2016, DHHS paid Public Consulting Group $315,000 to recommend ways the state could simplify its child care subsidy program for low-income parents. The state never acted on the firm’s advice. Public Consulting Group, which contracts with state governments across the country, previously did work for the Angus King and John Baldacci administrations. Spencer, the DHHS spokeswoman, didn’t answer a question from the BDN about how much it’s paying Public Consulting Group to review children’s behavioral health services. Disability Rights Maine didn’t have the figure Wednesday. 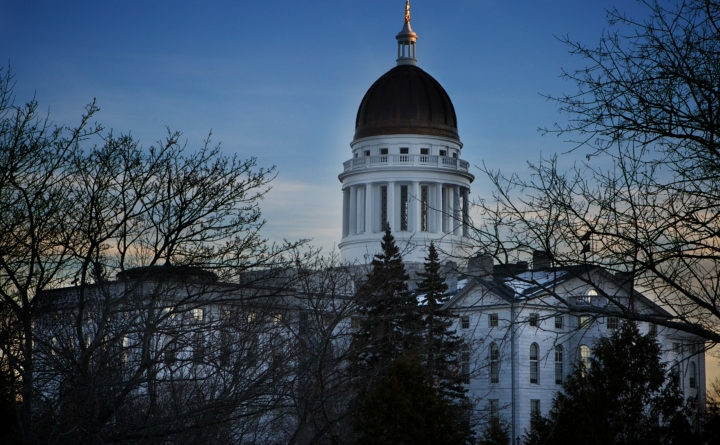 The state is in dire need of the review, said Malory Shaughnessy, executive director of the Alliance for Addiction and Mental Health Services, which represents mental health and substance use service providers.